Edit design Football scarf ad agency , or create your design from scratch. 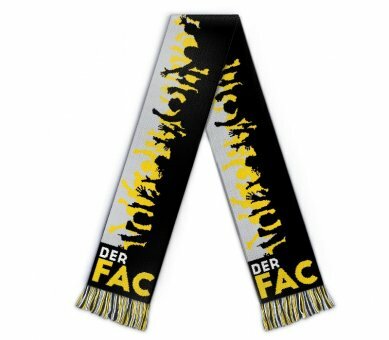 The Football advertising Agency Cup scarf, made with love for your team. Perfect merch for the next tournament, custom made with your design, text, and team logo. Choose colors for your pattern and design, and deliver an outstanding show with your team on the turf.